Victa has released its 82V Wide Cut Mower Kit, designed to get the whole lawn done with minimal downtime. The Victa 82V Wide Cut Mower offers a new level of Lithium-Ion performance and durability – meaning it is built to last. 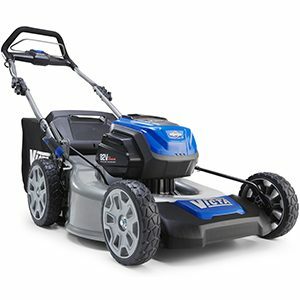 Included with the Victa 82V Mower are two 82V 2.0Ah batteries plus the 82V Rapid Charger. The 2.0Ah battery takes only 30 mins to recharge, which means users can charge the spare battery while they mow. The durable 21 inch pressed steel chassis is designed to handle tough Aussie conditions – rocks, sticks, and heat. The power of 1200W brushless motor technology means it is ideal for cutting thick grass and the handy height adjustment feature means the handles can be raised or lowered to suit the height of the user. The Victa 82V Wide Cut Mower Kit is available through Victa Gold Dealers.